Appendectomy in Switzerland: how is it done? More than 10,000 appendectomies are performed every year in Switzerland. 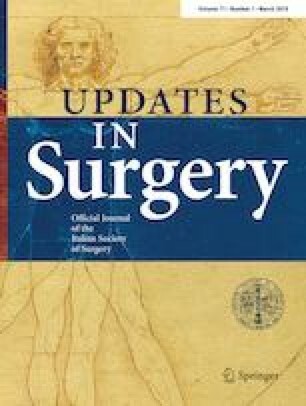 The aim of this study was to investigate the treatment strategy for appendicitis among Swiss surgeons with particular interest in laparoscopic technique, method of appendiceal stump closure, and abdominal lavage. We performed an anonymous survey among 540 members of the Swiss Surgical Society. Technical details and differences between the surgical procedures in adults and children as well as in complicated and non-complicated appendicitis were investigated. The overall response rate was 45% (n = 243). 78% of the surgeons perform laparoscopic appendectomies in children and 95% in adult patients. Only 3% use a single incision site technique. Surgeons consider pus or stool in the abdomen (94%), an abscess (86%) or perforation of the appendix (82%), but not an inflamed appendiceal base (16%) as complicated appendicitis. 41% of surgeons use endoloops, 36% a stapling device, and 20% polymeric clips in non-complicated appendicitis for appendiceal stump closure. However, 82% of the surgeons use a stapler in complicated appendicitis. Most (76%) of surgeons do not plunge the appendiceal stump. 24% of surgeons lavage the abdomen with > 1 L of fluid independent of the intraabdominal finding. Most Swiss surgeons perform multiport laparoscopic appendectomies. Endoloops and staplers are mostly used for appendiceal stump closures in uncomplicated appendicitis, and staplers in complicated appendicitis. Only a minor part of surgeons plunge the appendiceal stump or perform routine abdominal lavage. The online version of this article ( https://doi.org/10.1007/s13304-019-00654-z) contains supplementary material, which is available to authorized users. The research did not involve human participant or animals.